It has been exciting to see my art/image making love and science interest come together. “eJournal USA is a global conversation moderated by the United States Department of State.” -from their website. A graphic designer for this publication contacted me after finding this work on my blog. File that under reasons to share your work online. Here’s the post where they found the work: Life. 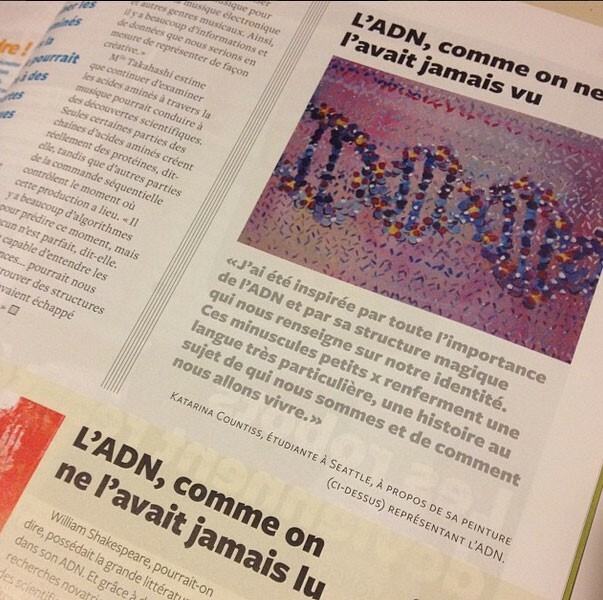 Here’s the online version of the article: DNA, Like You’ve Never Heard It | IIP Digital. They sent me two copies of the issue, in French! My work always looks better with French text near it/in it. I love the French language. So, I’m very happy about that. 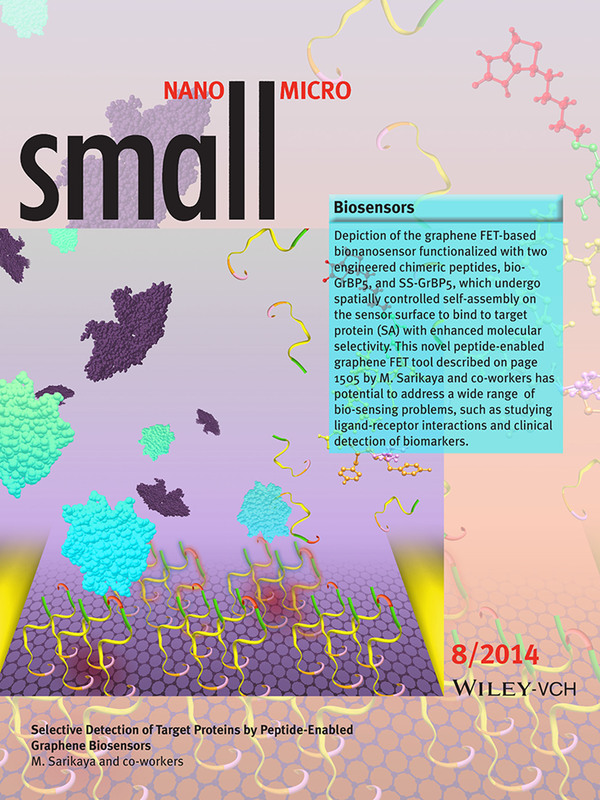 Biosensors: Selective Detection of Target Proteins by Peptide-Enabled Graphene Biosensor (Small 8/2014) – Khatayevich – 2014 – Small – Wiley Online Library. I worked with the first author to create this image. We needed to show bionanosensor functionalized with two engineered chimeric peptides. We used Chemistry Software, HyperChem, Molecular Modeling. molecular graphics visualisation tool. We scored the inside cover (Not really a cover, but still a great full page graphic) in this publication. We submitted the square graphic to the magazine and their team formatted it.